Chebal still has a loyal following of customers after 34 years in the same shop. However this year Chebal will be retiring and this little time capsule will disappear forever. 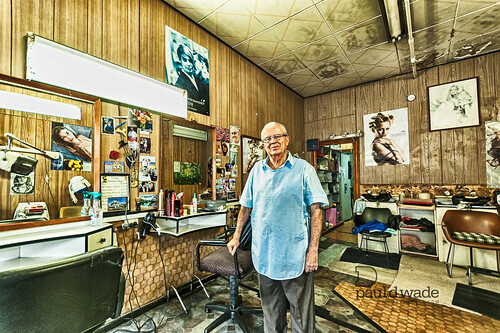 The full set of images can be found in Chebal’s Barber Shop on Flickr. Really cool series. What an interesting barber shop!